Drill shallow, large-diameter holes quickly with spade drill bits. 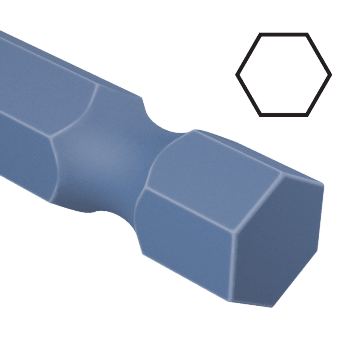 Often used in construction, electrical, and plumbing applications, these bits have a flat, bladelike tip and two straight cutting edges that create holes more quickly than the standard twist drill bit. The maximum recommended hole depth is two times the bit diameter. 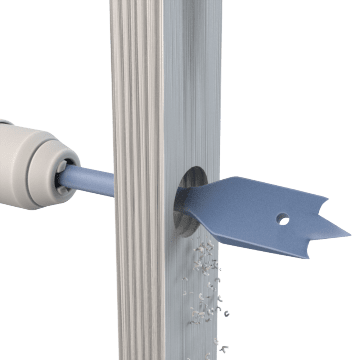 Quick-change hex shank drill bits can be inserted and removed from the drill chuck without the use of tools, allowing the bits to be changed out faster and more efficiently than bits with a standard hex shank. 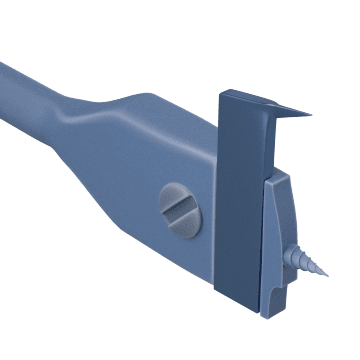 You can adjust the width of the blade on these drill bits to make the tool wider or narrower, allowing one bit to create holes in a range of diameters. Once the blade has been adjusted, tighten a screw on the drill body to lock it at the desired width. Keep a set of these versatile spade drill bits on hand for fast and efficient drilling in a wide range of woodworking applications. 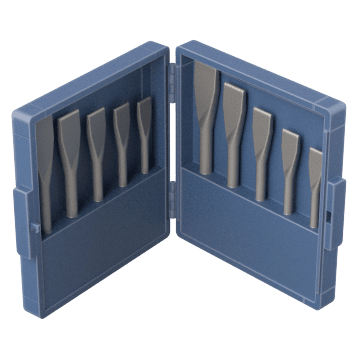 Sets are available with hex shank and round shank styles.